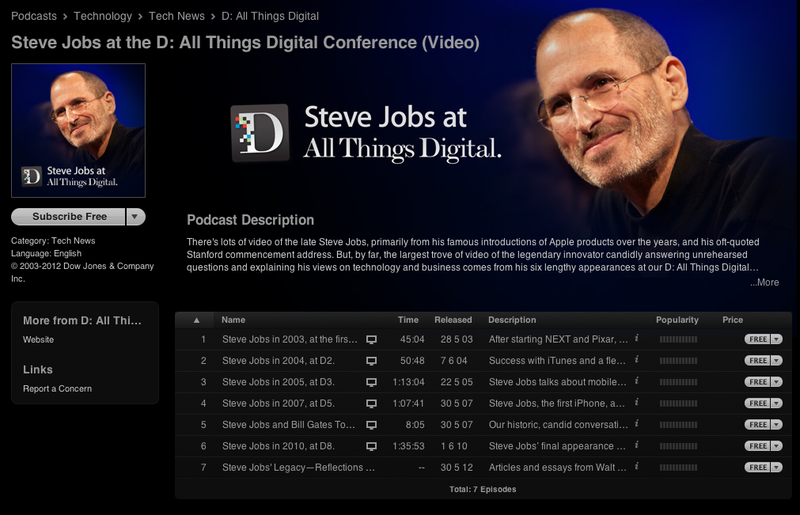 Some of Steve Jobs’ most candid appearances over the past decade are now available to download for free on iTunes. Almost five hours of video footage of the late Apple CEO speaking at the yearly All Things Digital conference take you through Jobs’ vision on the iPod and iPhone, and even include a chat with archrival Bill Gates. The six interviews are available as a video or audio-only podcast, giving you a glimpse into an unrehearsed Steve Jobs, without the staging and slideshows behind him, which most people are familiar with from his product introduction keynotes. The video collection begins from 2003, at the first All Things Digital conference, not long after Jobs returned to Apple, where he speaks about his plans for the future and his role at NEXT. A year later, Jobs talked about Apple’s music business, the iPod, iTunes and legal downloads. 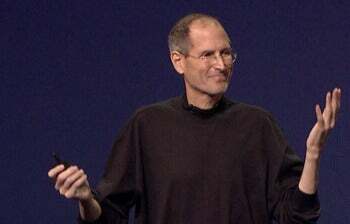 In the 2005 interview, two years before the first iPhone, Jobs fielded a question about an iPod phone and talked about how mobile devices relate to desktop computers. Then, in 2007, Jobs and Gates took the stage together to talk about their lives as collaborators, in what later became a historic tech moment. The final All Things Digital appearance is from 2010, when Jobs discussed the end of the PC era and focused mainly on the iPad, with the first model released earlier that year, and controversially, on Apple’s relationship with Adobe at the height of the Flash vs. HTML5 debate. Looking for even more Jobs videos? Apple also has a 20-video strong collection of all its recent product introductions from 2007 onward that you can download for free from iTunes. If that’s not enough, also see this huge collection of videos from Chill, which has almost 750 clips of Jobs, from old footage in his youth to his frail appearance at the Cupertino City Council talking about the plans for the spaceship-like Apple campus.